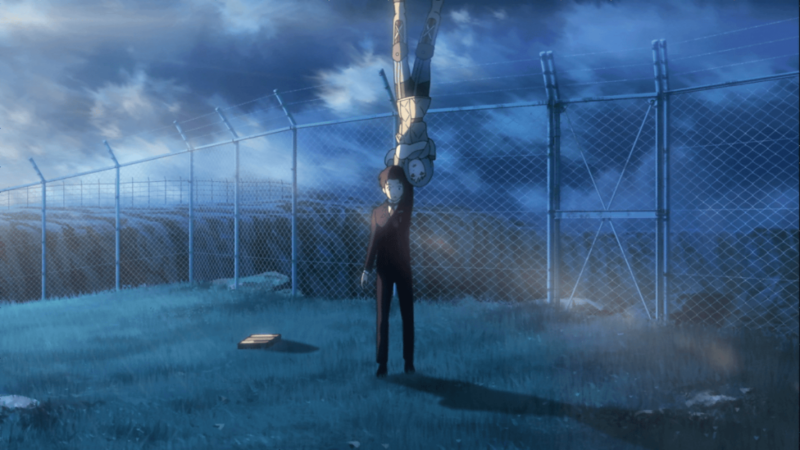 Considering the magnitude of world building that animation can convey, it’s no mystery as to why Patema Inverted is such a thrilling concept. Mixing Hayao Miyazaki whimsy with tense action, the blueprint for the film is promising. While the visuals are without a doubt nothing short of breathtaking, the overall premise ends up leaning toward the convoluted, and detracts from the overall quality. Two kids, two worlds, are separated by opposing gravities. Patema lives in an underground, steam punk-lite world, interwoven by tunnels. They’re the long abandoned ruins of an enormous industrial complex. She’s a princess and is held back due to an overprotective grandfather. One day while exploring, she’s attacked and falls into a void which jettisons her above the surface world with reverse physics. If she were to “fall” she’d be lost to the sky forever. It’s on this reverse world that she meets Age, a young boy who lives in a totalitarian society that believes the sinners fell into the sky long ago. With Age’s help, Patema is determined to go home, but first they must face threats, letters and memories from their past, and what ifs about their future. I’ve always been a vocal advocate for the artistry of animation. I typically find a certain beauty in animated films that’s often lost in live action; there’s a childlike wonder that goes into this particular genre. There’s room for the rhetorical to become real – the “what ifs” to become possible. On one hand, this film accomplishes the feat of turning whimsy and wonder into a full-on action packed movie, but on the other, it squanders the potential it has with breakneck pacing with little action plot development, leaving us wondering what just happened to get from point A to point B.
It’s a shame there had to be so much dialogue in this film. If it were silent, a la The Triplets of Belleville, the film could have been enormously beautiful. The artwork is stunning and intricate and there are certain scenes that left me speechless. 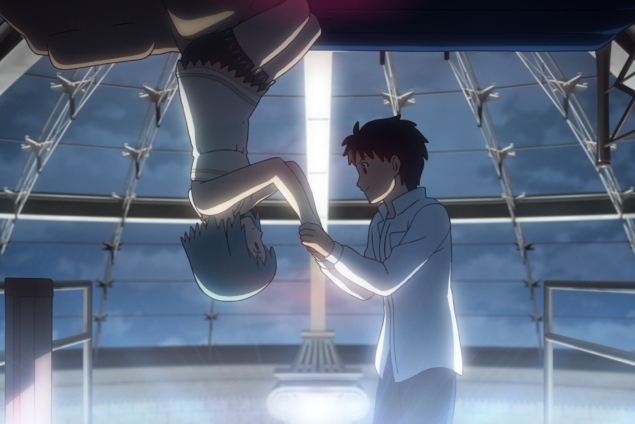 Take Patema and Age’s first meeting, as the two hold onto each other for dear life and float into the sky where the sun is rising, right at the cusp of where the landscape blends into the skyline. The view is drawn as the characters must see it: unimaginably expansive with grass and sky that never end, so bright it hurts to open their eyes but they have to in order to take in the view – it’s as if they’re viewing their own private universe. If only those were the moments we lingered on the most, rather than the plot with the lackluster and one-note villain. Running at 99 minutes, the editors could have easily trimmed those extra nine. We get multiple endings, multiple revelations that are meant to drown us in unnecessary sentiment, and more plots to destroy the so- called sinners of the sky. However, it’s difficult to fault the film too much when we’re given images like this. Director Yasuhiro Yoshiura has an eye for simple pleasures and fears. The two leads are afraid of falling, so they hold on to each other for dear life and neither of them lets go. We see as they gaze in bewilderment at the worlds they’ve never seen and will never know. Sometimes, all we need in a film is something we’ve never seen before, and in Patema Inverted, a little, underground animated film, we get that feeling in spades.